Home / TIPS / Good News: You Can Be A Flight Attendant (FA) Or Cabin Crew Even You're Just A High School Graduate - Here's How! 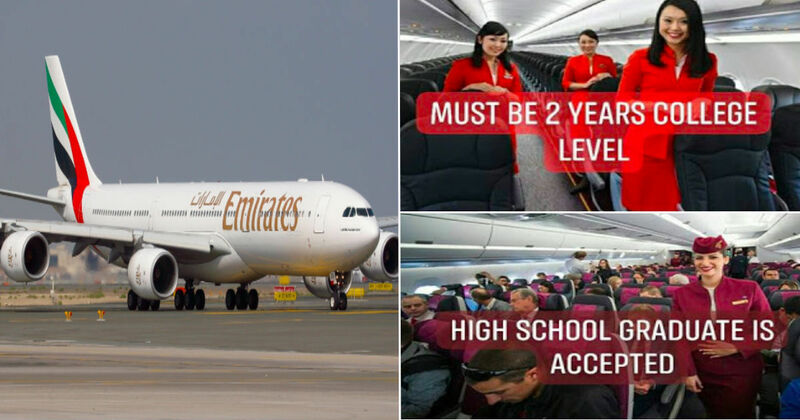 Good News: You Can Be A Flight Attendant (FA) Or Cabin Crew Even You're Just A High School Graduate - Here's How! Becoming a flight attendant is your ticket to travel the world. When we say cabin crew or flight attendant, people often think that they're like waitresses that serve and assist passengers on flights. But there are actually more to this career. According to Careers, their primary job is to keep the airline passengers and crew safe. They're also the one who responds to emergencies that occur on the aircraft and makes sure everyone follows the Federal Aviation Administration (FAA) regulations. 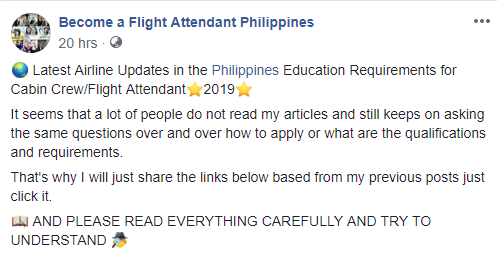 Recently, one Facebook page "Become a Flight Attendant Philippines" shared the latest airlines updates of 2019, specifically the requirements for cabin crew or flight attendant. Mentioned on the post are the common or frequently asked questions, the requirements for applying for a cabin crew position, and requirement in applying for an international airline. 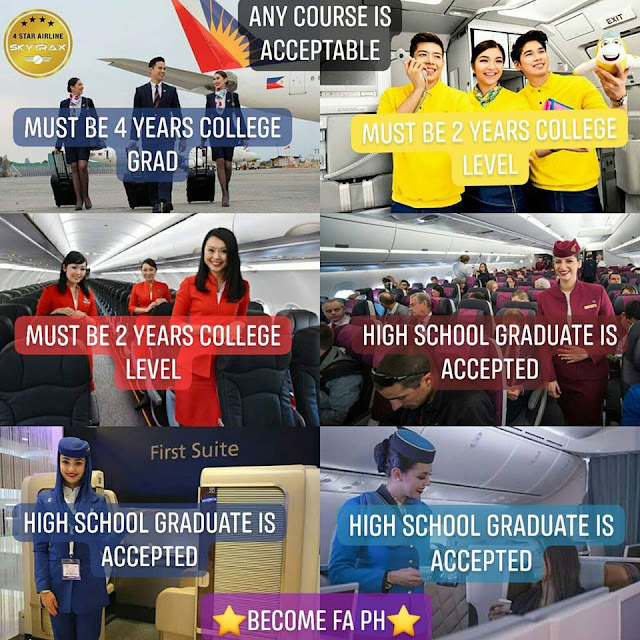 According to DOLE, a Flight Attendant’s entry-level salary ranges from P18,000 - P26,000 per month and may even go up to P36,000 to P54,000 per month for those highly-trained and experienced. Overseas such as in the U.S. & Canada, the average annual salary for a flight attendant is $43,350 or $3,612 per month. Despite growing demand for Flight Attendants, competition is expected and the only the most qualified eventually being hired.